Which close up magician do you to choose? How do you pick the right one for the event? 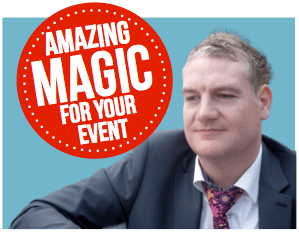 With Professional magician David Willmott you’re in extremely great hands with over decade's experience as a full-time close up magician, David has been entertaining corporate audiences in various situations for all of those years from Virgin to Sainsbury’s, NHS & Cadburys. Exceptional magic time after time making David a favourite with corporate bookers.